PNY Technologies is pleased to announce the launch of a new high performance 5-Port Smart HDMI® Switch with wireless remote, an ideal solution to expand the amount of HDMI ports available on an HDTV. 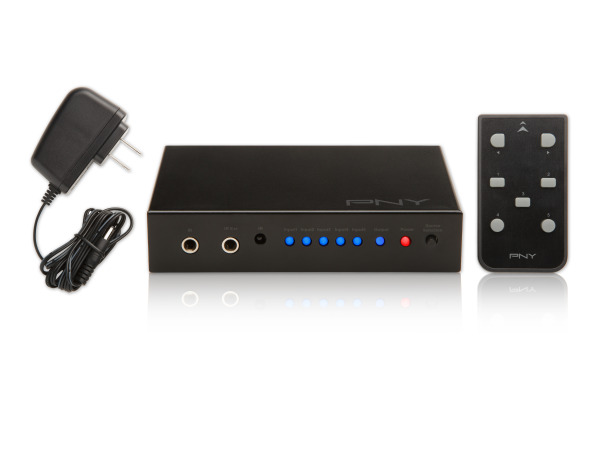 The PNY 5-Port Smart HDMI Switch connects up to 5 HDMI devices via one HDMI port. The new PNY 5-Port Smart HDMI Switch utilizes HDMI Smart Technology, featuring auto-switching from one device to another, LED indicators, and onboard manual switching control. The HDMI Switch is also powered to maintain superior signal quality with up to 1080p HD video playback. The included wireless remote allows for easily switching from one device to another. Users can connect multiple HDMI devices via a single HDMI output on their HDTV. The PNY 5-Port HDMI Switch easily connects to one HDMI port on an HDTV and converts to 5-HDMI inputs. Available in a matte black finish, with a sleek and slender aluminum frame of 4.38” x 3” x 1”, this new HDMI Switch from PNY was designed to be a great enhancement to many of the HDTV’s consumers own today. 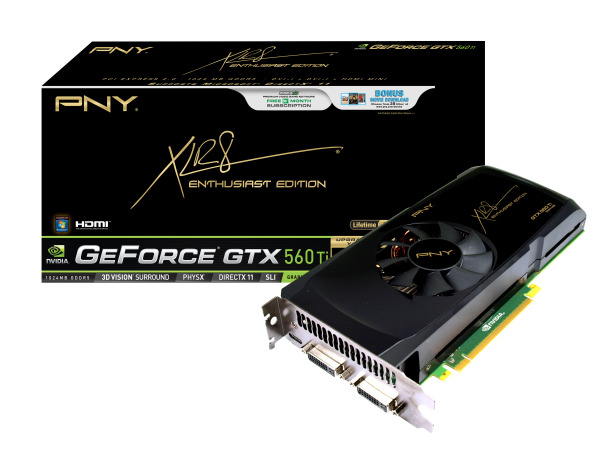 PNY had a great time showing off our new Liquid Cooled GTX 580 and Active HDMI Cables at the CEA Line Show in NYC last week. A big thanks goes to our friends at Maingear for providing the awesome computer rig to show off our liquid coolness. PNY announced today the launch of their Active High Speed HDMI® Micro Cable. This latest addition to our line of Active HDMI Cables lets users expand the horizons of their tablets and smartphones by taking viewing HD content from your device to a large screen. PNY TV: Designing Spaces - See our latest products on this episode. 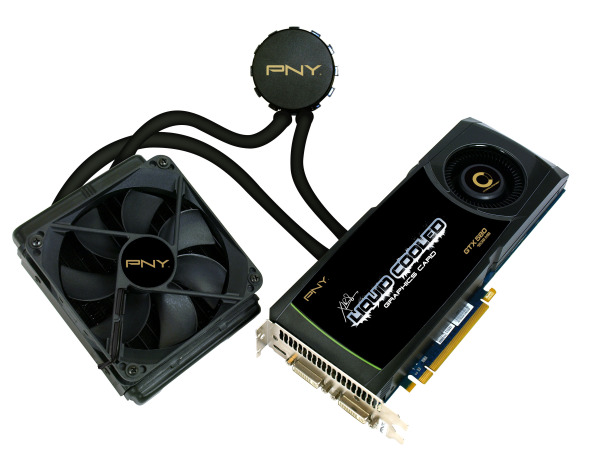 PNY is proud to announce the introduction of a new line of product: PNY Active HDMI® Cables. The next generation of HDMI cable technology, PNY Active HDMI Cables enable high-speed 1080p HD picture and sound, all in a new ultra-thin innovative design. PNY's Active HDMI Cables are certified at the latest High-Speed HDMI 1.4a standard, deliver a guaranteed 10.2Gbps (gigabits per second) bandwidth stream for flawless HD performance at the industry's highest current speed level, and are 3D ready. These Active HDMI Cables feature built-in chip technology that controls audio and video signals to enable digital surround sound and an optimal HD experience in 1080p and beyond. With support for Dolby TrueHD and DTS-HD Master Audio, including 5.1 and 7.1 audio, these Active HDMI Cables offer a true digital cinema experience. 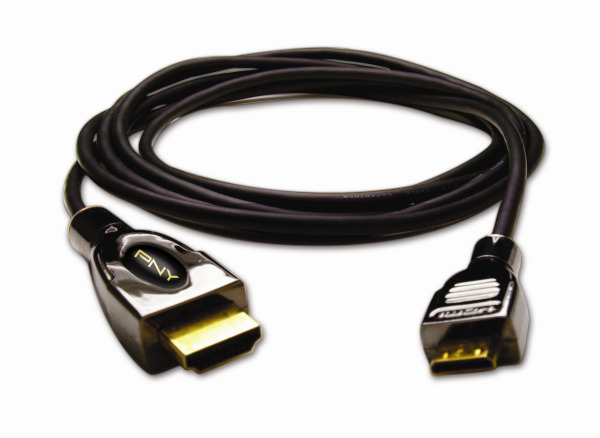 At a fraction of the size of traditional HDMI cables, these measure a slender 3.6mm in diameter and are more pliable for ease of use and compact to reduce the space required for installation. Lightweight and ultra portable, these cables are small enough to fit in the palm of your hand when rolled up. PNY's Active HDMI Cables also allow for advanced display technologies, including being 3D ready and Blu-ray 3DTM functionality. PNY is proud to announce our technology partnership with Cheetah Cables, an innovation leader in high technology consumer accessories for the gaming, portables and home/office computing markets. Under the strategic partnership, Cheetah Cables and PNY will jointly manufacture and market a line of ultra thin, high performance active HDMI cables under the PNY Technologies brand. Cheetah Cables are the next generation of High‐Definition Multimedia Interface (HDMI) cable technology. Combining embedded cable intelligence with a sleek, ultra thin design, Cheetah Cables deliver high performance and usability at a value price and are ideal for imaging, HD home theater, computing, gaming systems and portable applications.